For new house builds or re-wiring in older homes, you can expect Potter Electrical to deliver a top quality service at a great price. I recently used Potter Electrical. Calling on a Sunday evening they had someone on the job the next day for us. Brady worked most of the day on a range of electrical tasks. He proved to be fast, efficient, skilful, very neat, and very obliging. Having used this firm regularly over a number of years I would most sincerely recommend Potter Electrical to everyone. We know how valuable you home is. It is a place to relax in and enjoy. It is a place of privacy. It is a place of comfort. That’s why your home is your most important space. Keeping this in mind, Potter Electrical has your every need covered. 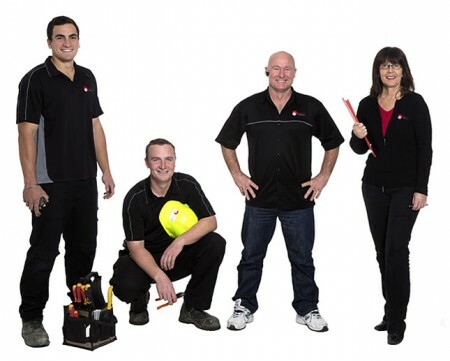 We cater to all sizes of Northland electrical residential jobs from small repairs to installation of new electrical systems in new builds. Do you want an electrical automation system that gives you control over the entire house? Turn on the lights with one switch? Or turn the heater on while you’re lying in bed? What about an audio-visual system that works throughout the home? That’s why we have been entrusted with the biggest residential job ever done in New Zealand – on Alexander Abramov’s development at Helena Bay, Northland. Putting all the flash bits aside we understand the need to save on cost of utilities. That’s why we have energy efficient lights as alternative. Repairs and Maintenance – For all your small electrical repairs. We can have someone on site that day to get your hot water working again, repair your outside lights or install a new oven. Cable Location – We offer cable location services for any cable or pipe work. We can determine where it is in the ground and mark it out so you won’t hit it; or trace it so it can be repaired. Wiring – We can get a new sleep out up and running or install some new garden lighting. New Homes – We can wire new homes from bachs through to large residential developments. Mains Installation – From a small submain to the garden shed to the mains of a new home 600 metres from the road. We can come and quote, dig the trench, install the mains and other services like phone and fibre and arrange connection with your supplier. Our expert electricians can chat to you about any of our residential services and also ways to cut down on your power consumption. We can help you with some small changes that could mean huge savings on your power bill.